The anniversary day to mark the end of the Pacific War is on August 15th when Japan made an unconditional surrender. The annual Memorial Ceremony for the War Dead is held on this day. Many people already started to return home from their hometowns or their trips. 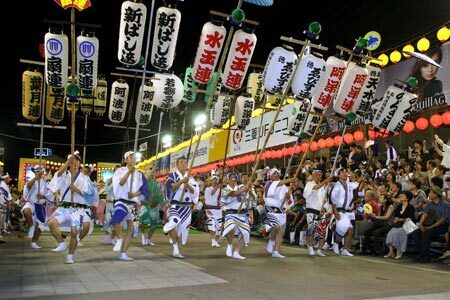 The Awa Dance Festival(阿波踊り) was held from August 12th to 15th in Tokushima Prefecture in Shikoku Region. "Dancing fools and watching fools. We are the same fools, so it's better to dance!" This well-known phrase is chanted during the dance festival. 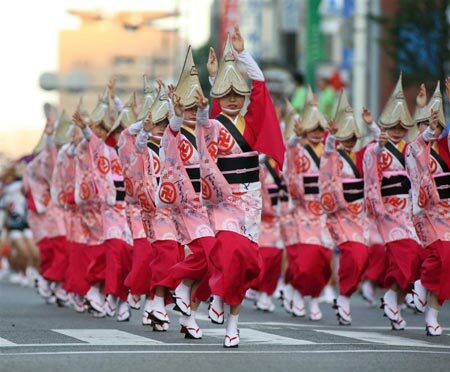 True to the phrase, people in Tokushima perform the Awa Dance. 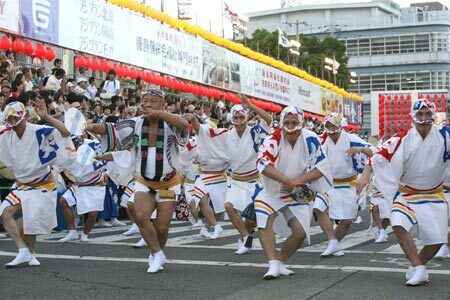 Tourists enjoy a dance parade by the selected dance teams called ren(連). 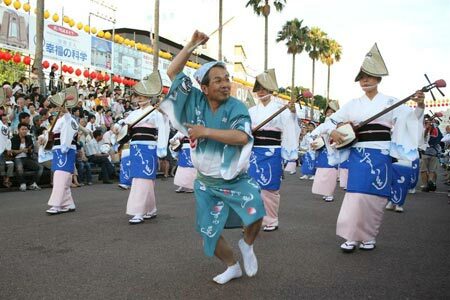 Tourists can dance as a member of Niwaka-ren(にわか連). Children usually dance the men's dance. In recent years, adult women dance both the men's and the women's dance. 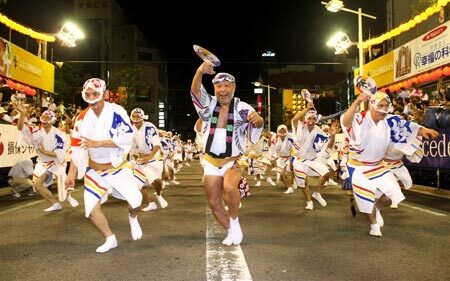 According to one popular theory, the awa dance has originated as the dance people performed when the lord of the Tokushima Domain gave a feast in celebration of the fall of the Tokushima Castle in the end of the sixteenth century. Some say the dance of the time comes from the original form of the Bon dance. 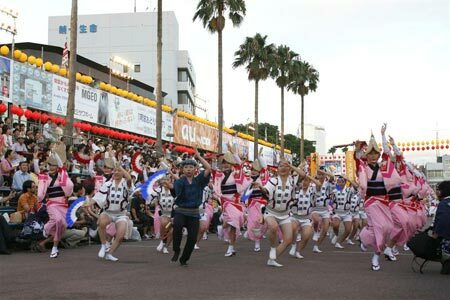 The Bon dance is said to have started when people danced in delight along to the Buddhist chants because it rained after doing a ritual for rain. 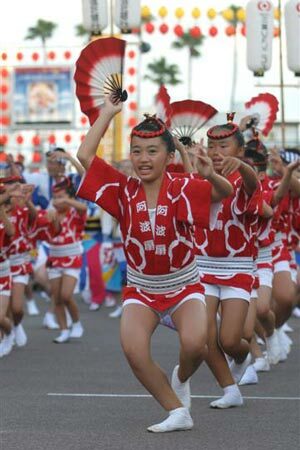 Bon dances around the country were originally performed to send off the spirits of ancestors, but they have changed into local festivals for entertainment.